Millennium Place opened in the fall, with 256 units priced from $550,000 to $3.5 million. It sold the last this month. The price of living in the heart of Boston is fast approaching an average of $1 million, as condominium sales sizzle and values surge. Condominium sales in downtown Boston and surrounding sections — including Beacon Hill, the Back Bay, and the South End — jumped more than 17 percent in the first three months of the year, compared with the same time last year, according to LINK, a company that tracks sales in a dozen central city neighborhoods. The average sale price climbed to just under $950,000. Luxury units, which usually take longer to sell, are flying off the market. In the first three months of 2014, they sold in an average of just 20 days, compared with 167 days in the same period last year. With sleek new residential towers and seven-figure selling prices, the central city is attracting financiers, doctors, foreign investors, and well-heeled baby boomers looking to “downsize,” taking on a tony character that many real estate specialists liken to Manhattan’s. At the same time, the trend is raising concerns that Boston, like New York, is becoming a community of extremes, a city of rich and poor with little room for those in the middle. In Chinatown, on the edge of downtown, the Chinese Progressive Association is helping tenants in 10 buildings fight evictions and big rent increases as landlords move to redevelop the properties into luxury housing, said Mark Liu, the programs and operations director for the neighborhood group. Luxury units, with personal services and valet parking, have been driving the market. Among them are 45 Province and Millennium Place in downtown and No. 6 Newbury Street, which includes a Chanel store. 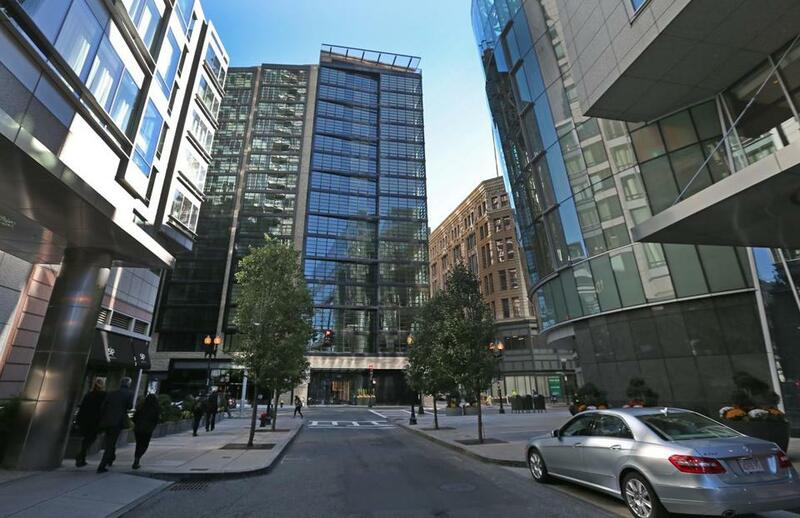 Such developments complement established properties such as the Ritz-Carlton, which overlooks Boston Common, and the Mandarin Oriental, two blocks from Copley Square. The influx of wealthy executives, entrepreneurs, professionals, and others has been followed by businesses catering to the luxe life. Brigitta Herzfeld’s parents bought a penthouse unit at the Millennium in February for more $3 million. Her father, a money manager, had lived in Manhattan and wanted a building in Boston with the same white-glove services, including a residents’ lounge with a wine bar, a grassy terrace with room for the family’s two dogs, and a staff that remembered your name even if they didn’t see you for months. “We were looking for a New York-style apartment,” said Herzfeld, who works for her father’s investment firm, Thomas J. Herzfeld Advisors Inc., and uses the condo as her Boston base. Herzfeld, who earned her MBA at MIT’s Sloan School of Management in 2008, said the transformation of the neighborhood has been remarkable. Nearly a decade ago, she recalled, it was a gritty stretch where you might stop for dim sum or shop for deals at the old Filene’s Basement. “It’s amazing how far that area has come,” she said. Realtors said better public transportation, safer streets, and urban amenities are attracting more people to the city and contributing to the demand for condos. Adding to that demand are investors who see a strong local economy supported by technology and life sciences and anticipate solid returns from real estate. The result: quick sales and rising prices. The median, or midpoint, price of all sales hit a record high in the first three months of the year, jumping 23 percent to $660,000. Millennium Place opened in the fall, listing its 256 units at prices from $550,000 to $3.5 million. It sold the last condo two weeks ago. But a downtown address, as well as those in nearby neighborhoods such as the South End and Charlestown, is something most middle-income families can’t afford. Those who want to live in the city are getting pushed out to Hyde Park, Jamaica Plain, or Savin Hill and Jones Hill in Dorchester, said Mark Lippolt, senior vice president at Hammond Residential Real Estate in Brookline. “The prices are eye-popping,” he said of the downtown market. Still, Boston has a ways to go before it can rival Manhattan’s lavish lifestyle and real estate. While Boston’s condo prices have soared, they fall short of what people shell out for a Manhattan ZIP code, unobstructed views of Central Park, multiple fireplaces, and car elevators. There are currently more than 60 apartments on the market for more than $30 million each in New York, according to StreetEasy.com, a property listing website.